Hello reader! I’m so excited for today’s post. I’m wearing a thermal polish! Dreams of Mermaids was a very early indie polish purchase, and today’s the day I’m giving it some love. I’m wearing three coats with one coat of Seche Vite top coat. 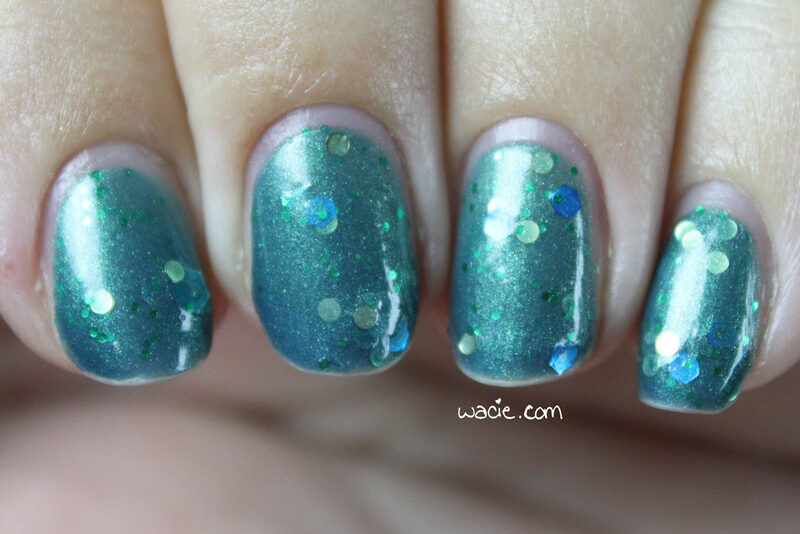 Dreams of Mermaids is a green-to-teal thermal polish with gold, blue, and green glitters, as well as a green shimmer throughout. Unfortunately, because it’s a very hot day in sunny Florida, I wasn’t able to capture the thermal effect well. In July, it doesn’t matter how long my nails are, the polish is always in the hot stage. Dunking my nails in ice water effects the change, but as soon as I pull it out, it goes right back to hot. 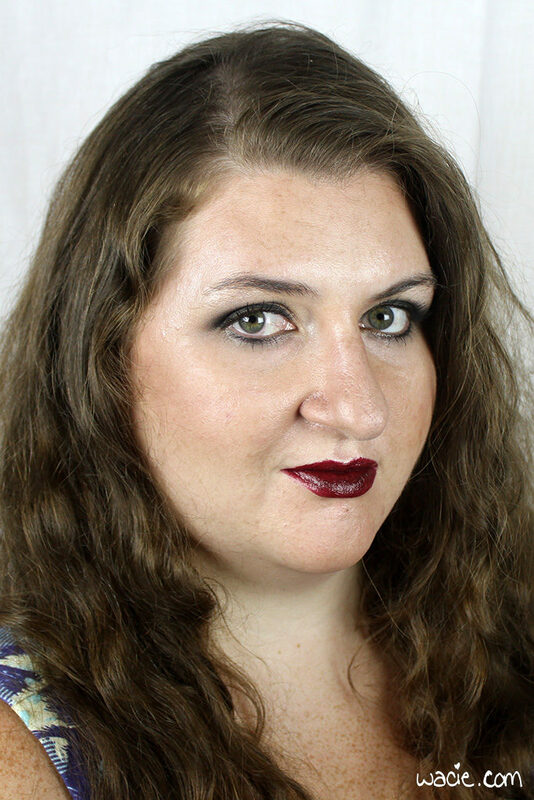 This is why my cold stage and transition photos are so watery; I had to work fast. I do apologize. 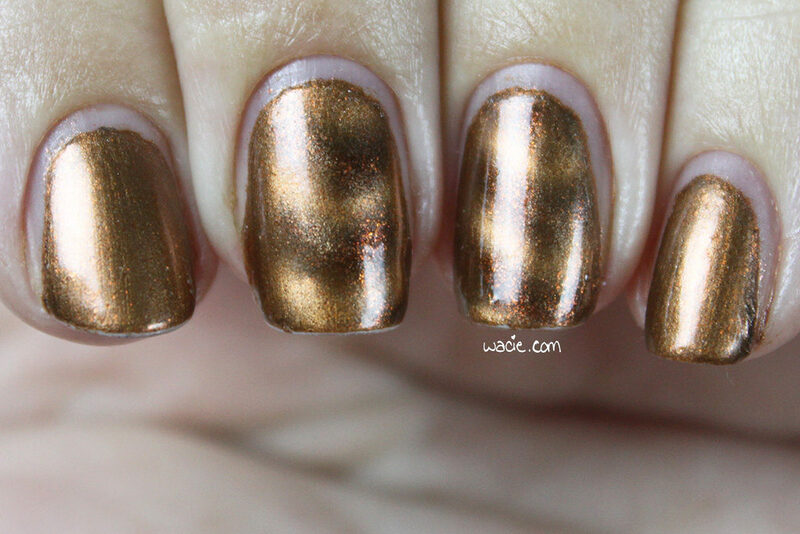 I’m actually surprised the thermal effect still happens at all; this is a three year old polish, after all. I bought it at the same time I bought Pretty Chameleon, another beautiful Pretty & Polished thermal. Not only does it still change, it still has a pretty dramatic change. Something I notice about old thermals is that even though the effect still happens, it doesn’t happen as quicky or as powerfully as it used to. This one still works like it’s brand new. 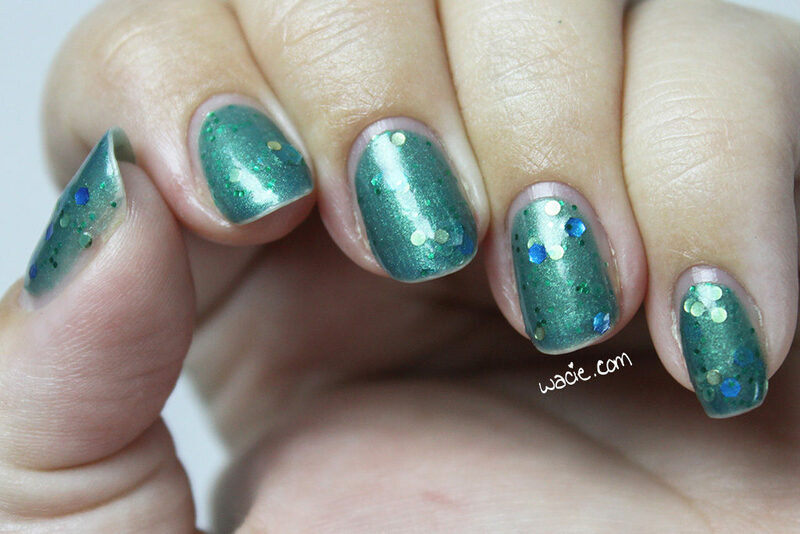 In the sunlight, you can see exactly why this polish is called Dreams of Mermaids. 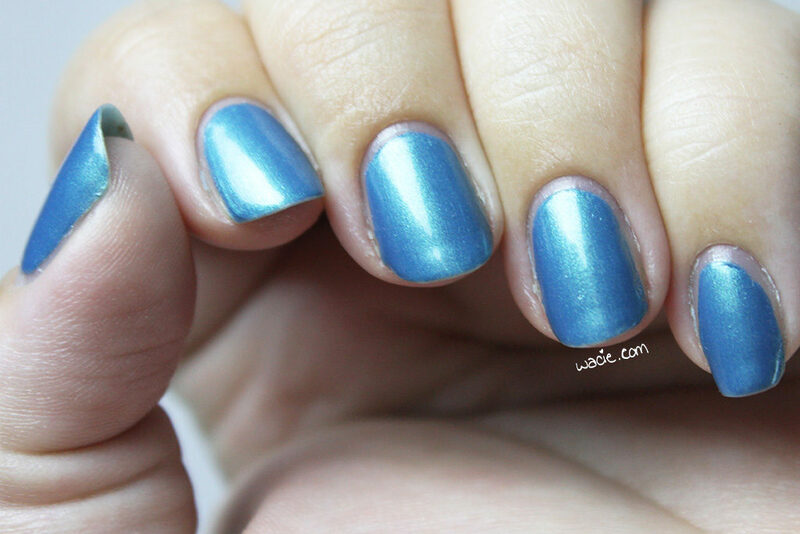 The colors are definitely evocative of the ocean, and the shimmer really lights up out here! 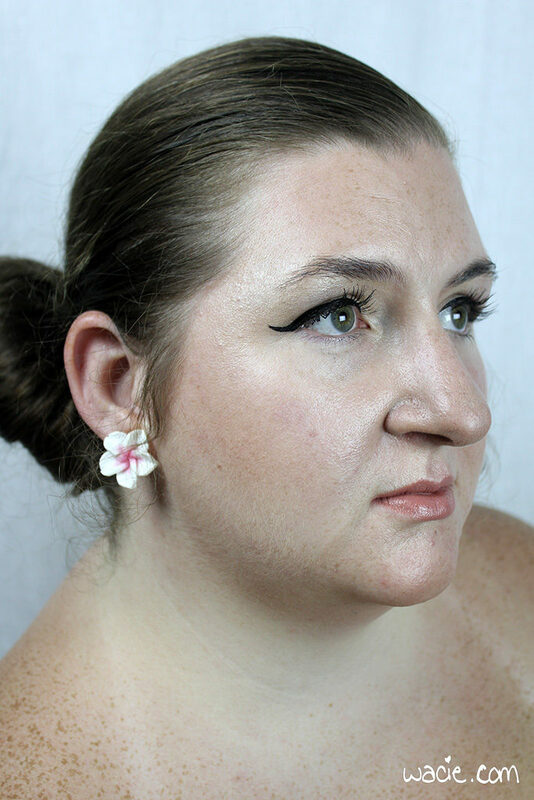 These photos were taken in direct sunlight. 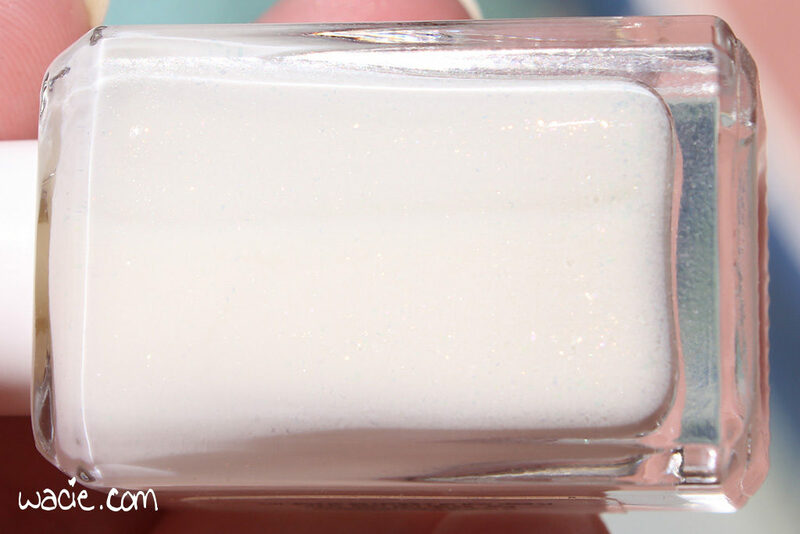 It looks like Dreams of Mermaids has been discontinued by Pretty & Polished; other P&P polishes — including thermals! — are for sale in their etsy shop and on their website. Swatch Sunday this week is a trip down memory lane, though maybe not as far back as we’ve ever been. 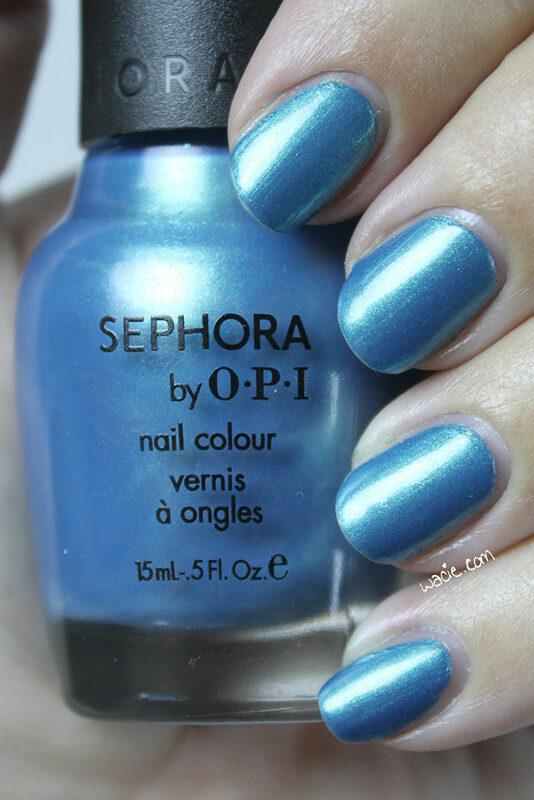 Remember Sephora by OPI? 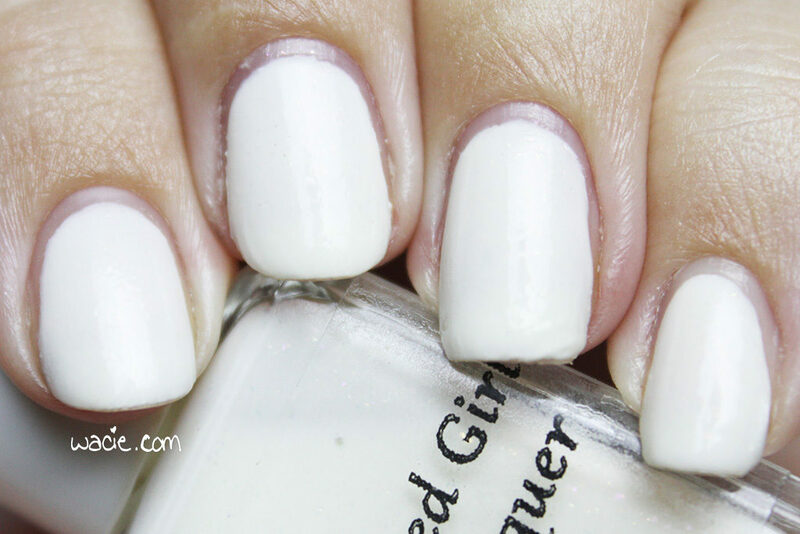 This was a line I loved, and wearing it now takes me back to a simpler time when a nine dollar nail polish was a real splurge and top coat wasn’t yet a regular part of my manicure. This is Skinny Jeans; I’m wearing three coats with one coat of Seche Vite top coat. 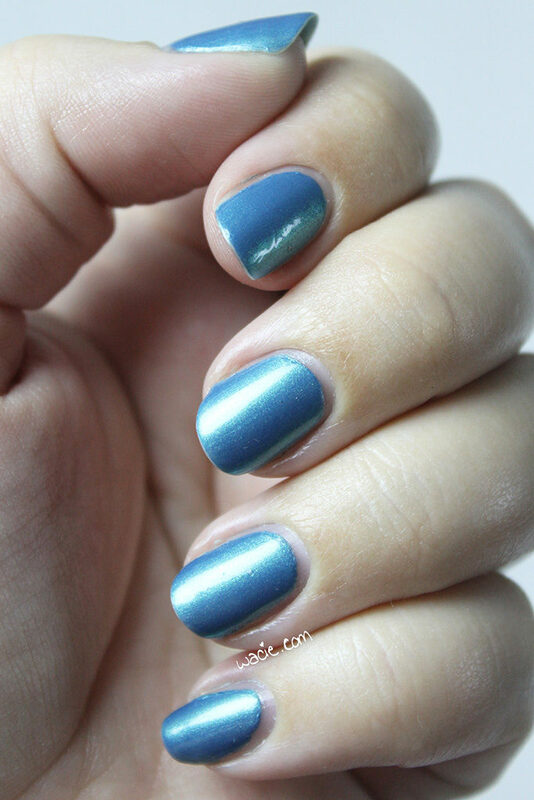 Skinny Jeans is a turquoise polish with a greenish shimmer. 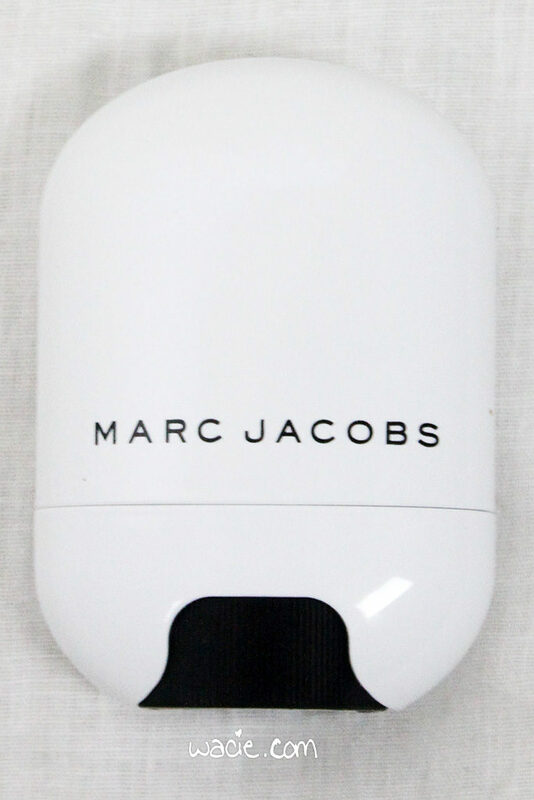 Application was very easy; though the product formula is a little on the thin side, it’s still very silky and covers well. The first coat was nearly opaque, the second filled it out nicely. 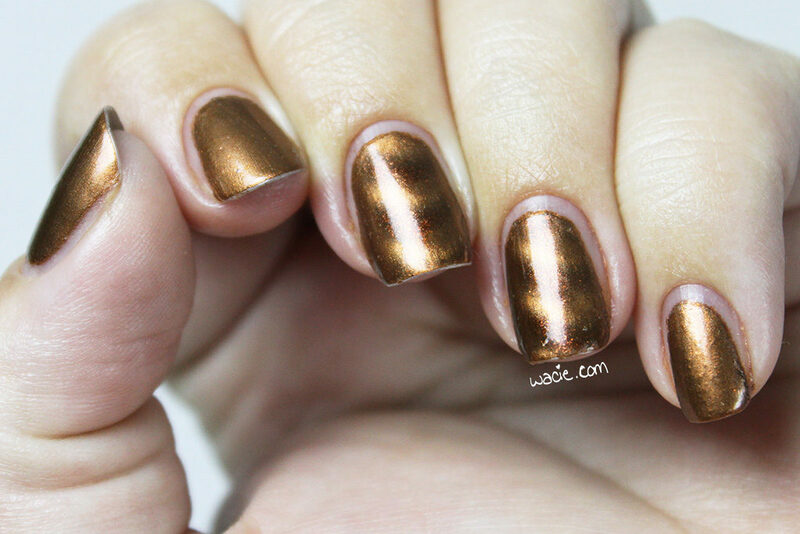 There are some slight brush-strokes, but they’re barely noticeable and fade into the shimmer. The drying times were good, and it dried with a smooth, glossy finish. I used top coat for extra shine and protection. I believe this is the first time I’ve ever worn this polish alone with top coat. 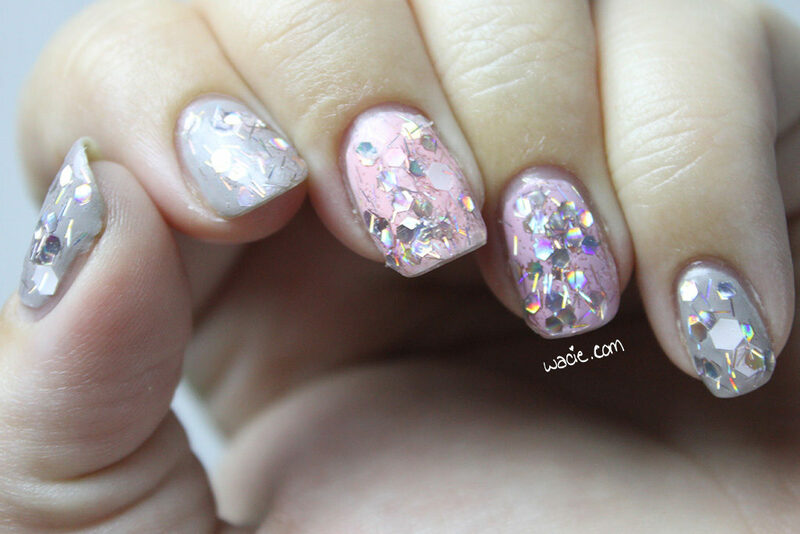 I think I’ve used it as a base for glitter once since I started the blog, but yeah. It’s a little weird. It’s yet another reminder that it wasn’t that long ago I was 25 and wore a lot of blue nail polish (without top coat). In the sunshine, the blue is a lot warmer than it is in the studio, but the green shimmer is still as potent. It’s a lovely ocean blue in any lighting! The entire Sephora by OPI line has been discontinued. You can still find bottles on Amazon. Happy Saturday! 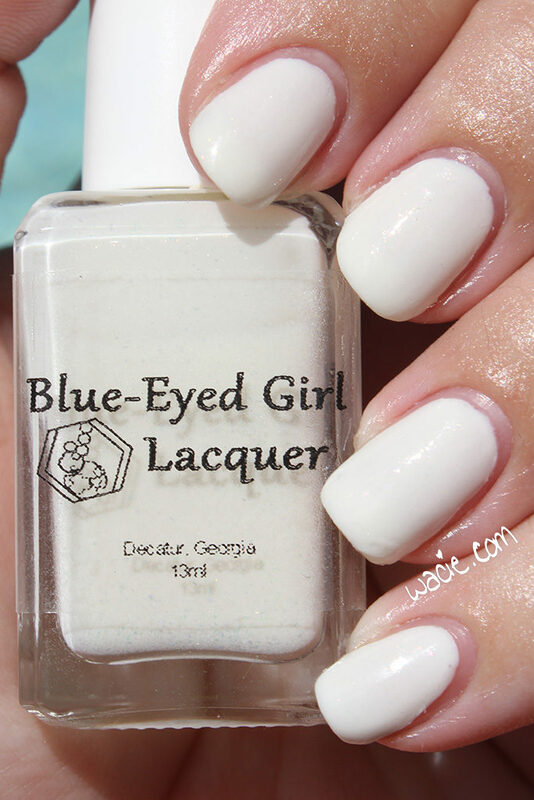 Today’s polish is Grandpa from Blue-Eyed Girl Lacquer. I’m afraid I couldn’t do this polish any justice, because it is full of tiny magnificent flakies. 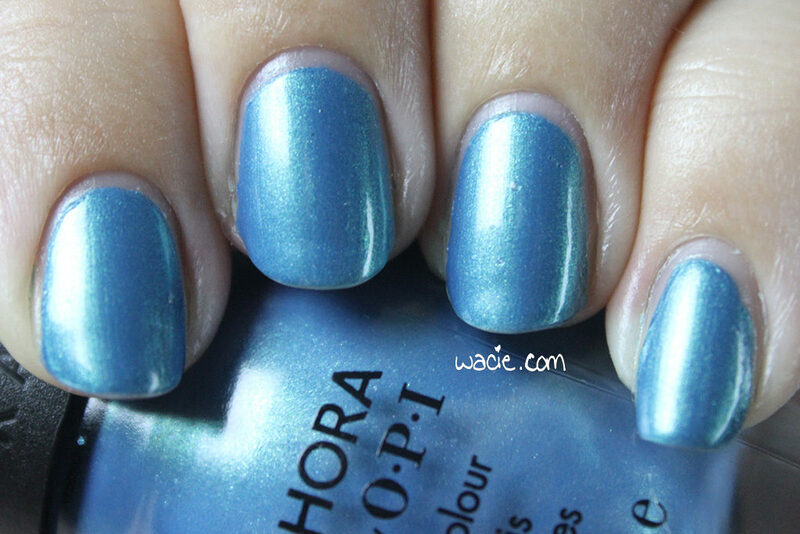 I’m wearing three coats of Grandpa with one coat of Seche Vite top coat. Grandpa is a white creme with pink and gold iridescent flakies. 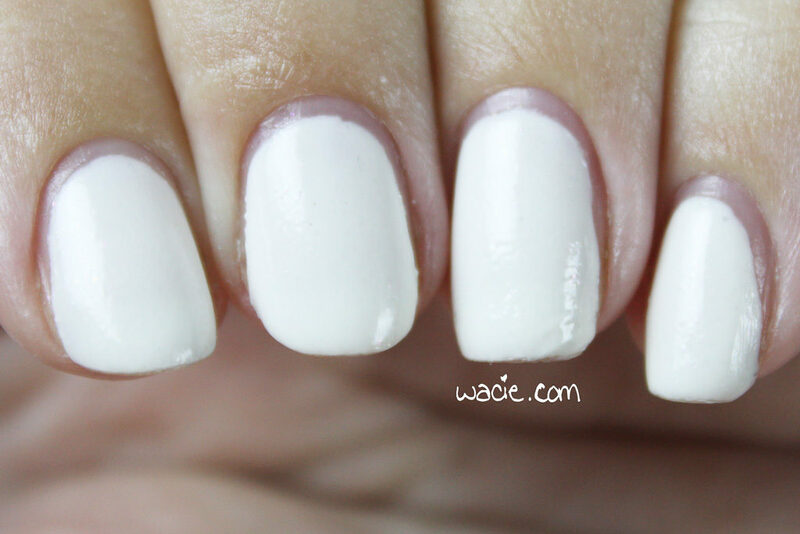 Application was easy, especially for a white polish; the first coat went on nicely without streaks or bald spots in the color, and was about halfway opaque. The second coat achieved perfect opacity. I hesitate to say “full opacity”, because even after the third coat, there was still slight squishiness left. However, it’s still opaque enough that the flakies aren’t readily apparent — in fact, I sometimes forgot they were there. It was only when the light hit them just right that they were noticeable. 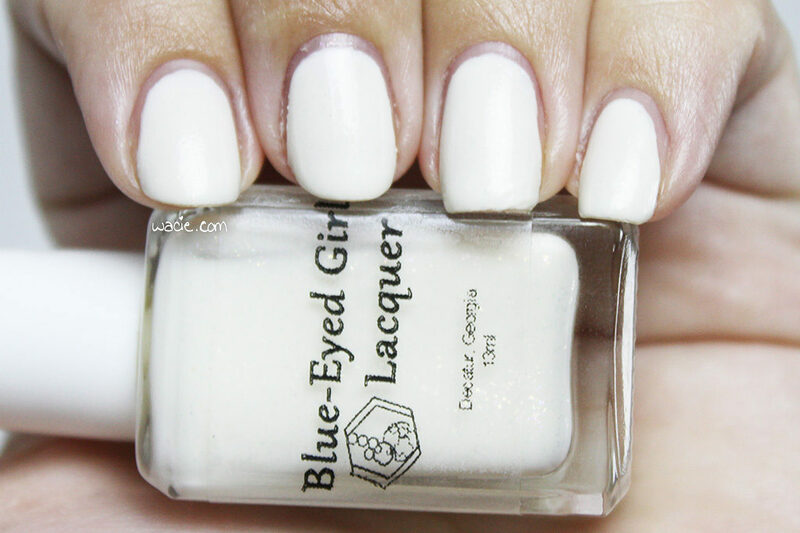 The polish dries quickly and with a smooth, semi-glossy finish; I added top coat for shine and extra flakie visibility. 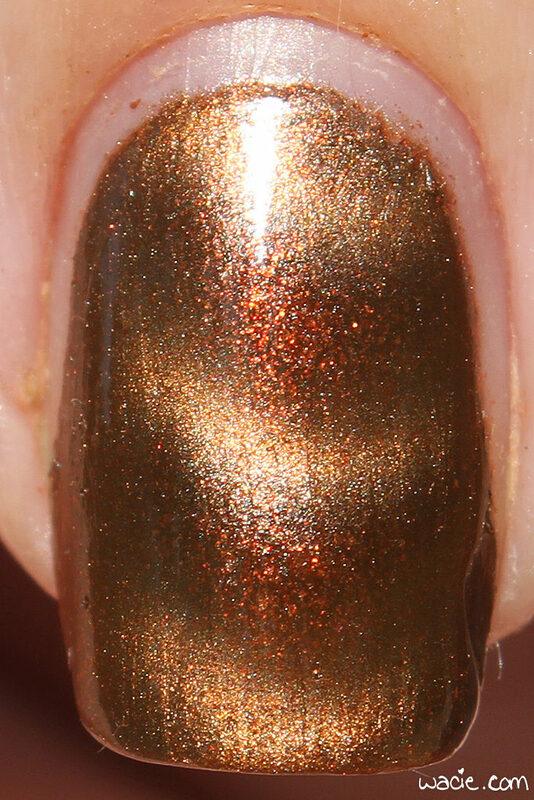 As I mentioned, because the flakies disappear so well into the creme, it was hard to get good photos of it. They’re much easier to see in person. In some of these photos, if you look where the glare is, that’s where you’ll see the flakies, but even then, they’re tough to spot. 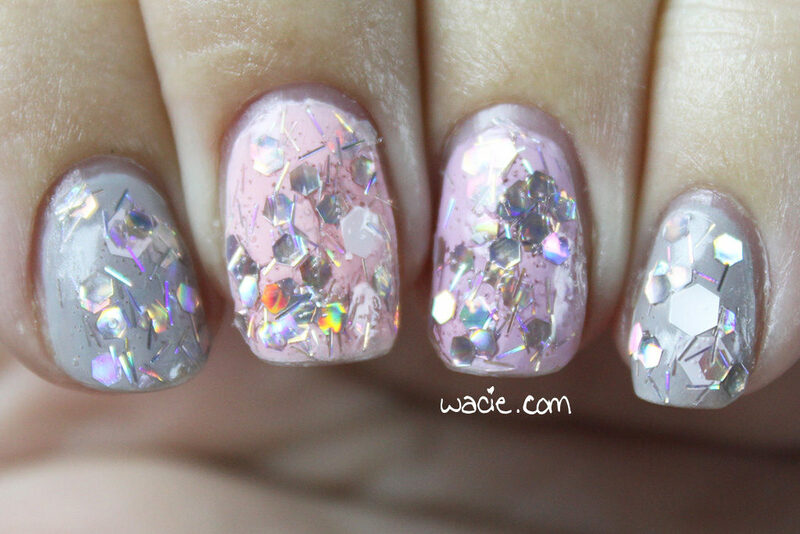 This reminds me of another BEGL polish, Purple Phlox, that had these teeny iridescent glitters blended in that often went undetected. They were like tiny little secrets on my nails. In direct sunlight is where I saw them best. 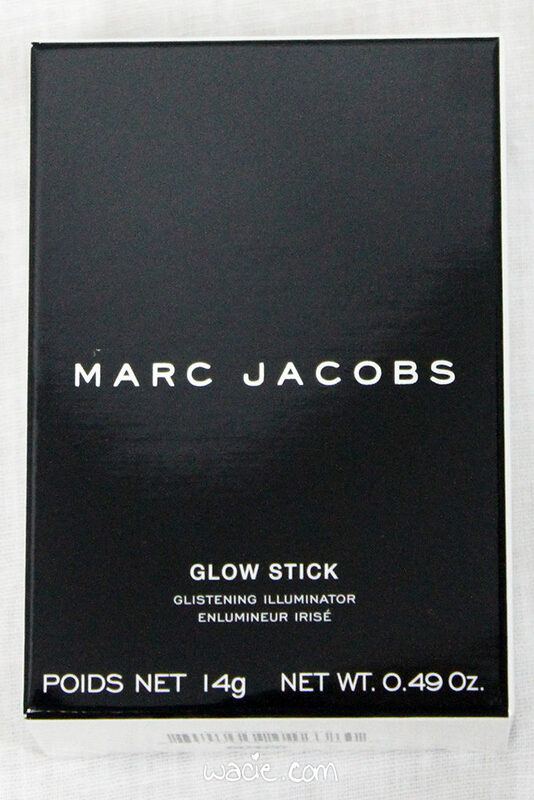 The second photo in this set has the most flakie glow, I think. 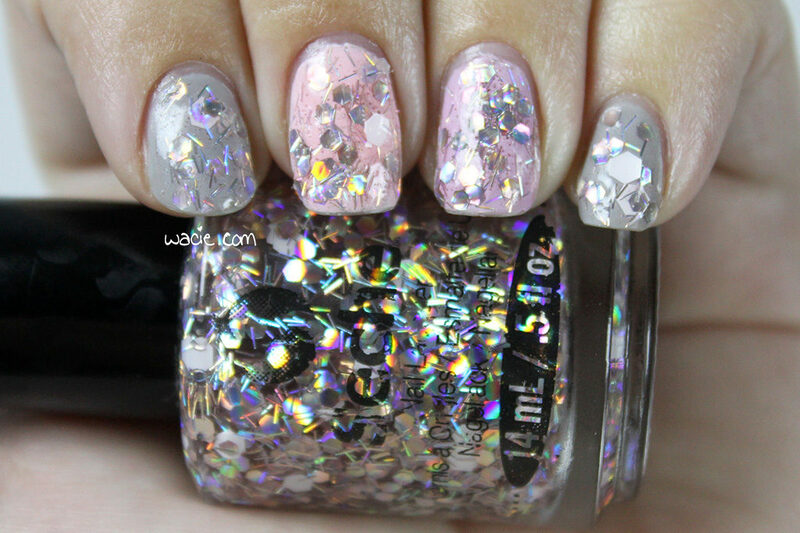 I love this polish, it’s the perfect base for nail art but with a tiny oft-hidden sparkle. 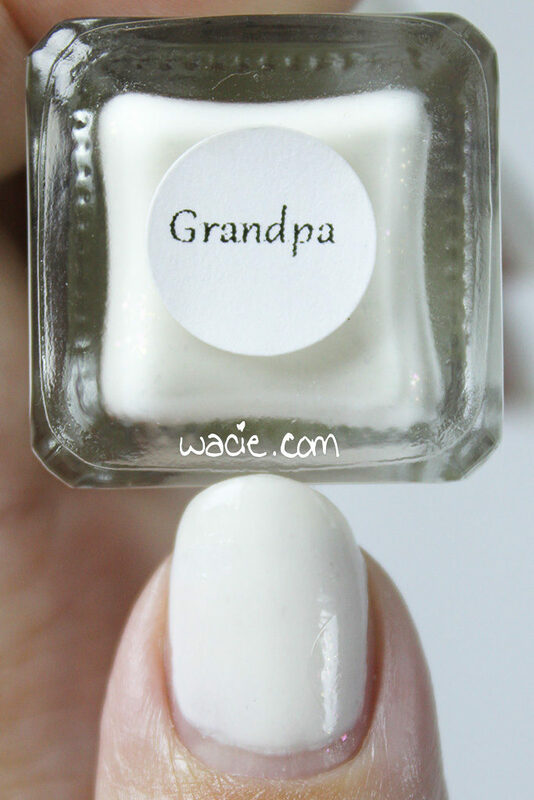 Grandpa and other Blue-Eyed Girl Lacquers are available from their online shop. 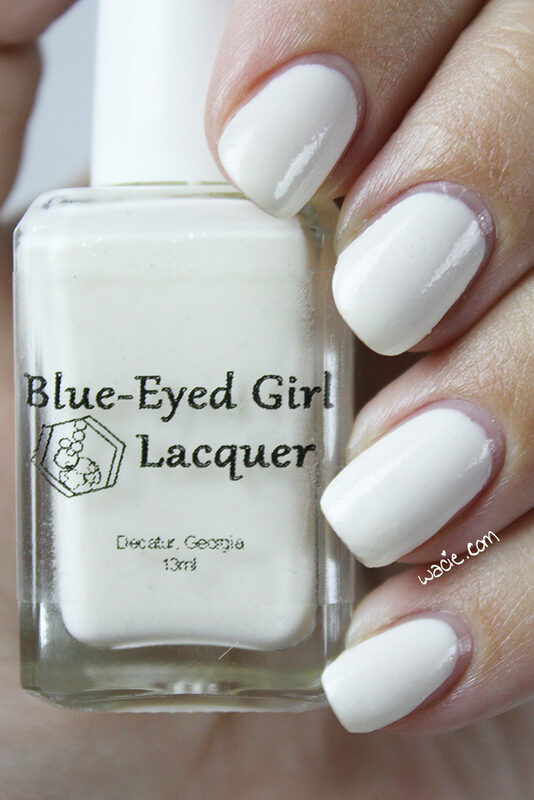 It’s Monday, and it’s time for manicures! 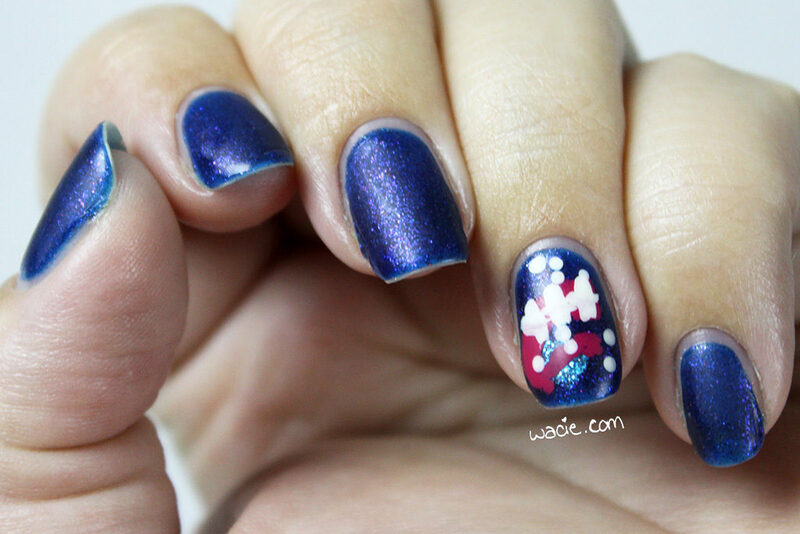 This week, I’m using the one Color Club Halo Hues polish I own. I gotta say, for a mass-market holo, it’s pretty good! This is Beyond; I’m wearing three coats with one coat of Seche Vite top coat. All photos were taken in direct sunlight. Also, full disclosure: it’s been raining most of the day, so when it stopped and the sun was actually shining, I ran outside before everything was totally dry and smudged my ring finger. I decided to just photograph it as-is instead of redoing it and risk losing the sunlight. 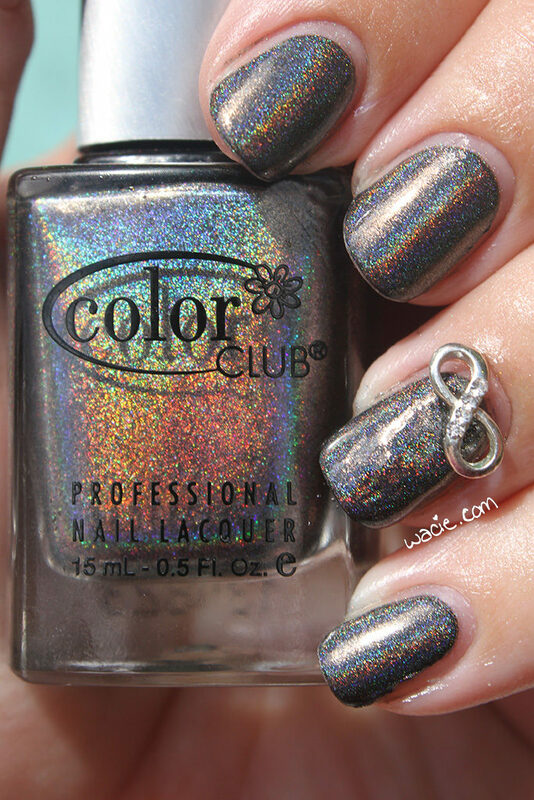 I remember the Color Club holos being a huge deal a couple years ago. They were easily the most accessible linear holo on the market at the time. 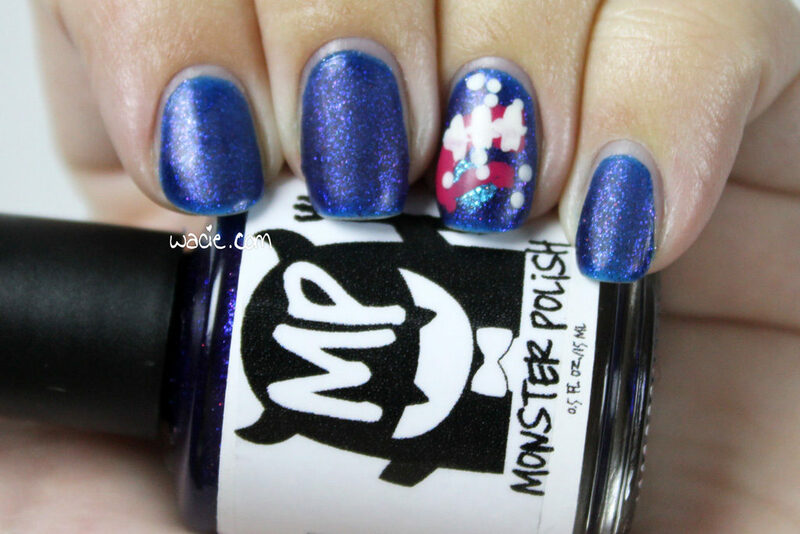 I saw more of these in nail polish communities than actual indie holos. Beyond isn’t the most unique polish; it’s a warm gray holo, but still pretty comparable to early indie holos — Blue-Eyed Girl Lacquer‘s Don’t Worry, I Don’t Bite is one that comes to mind. 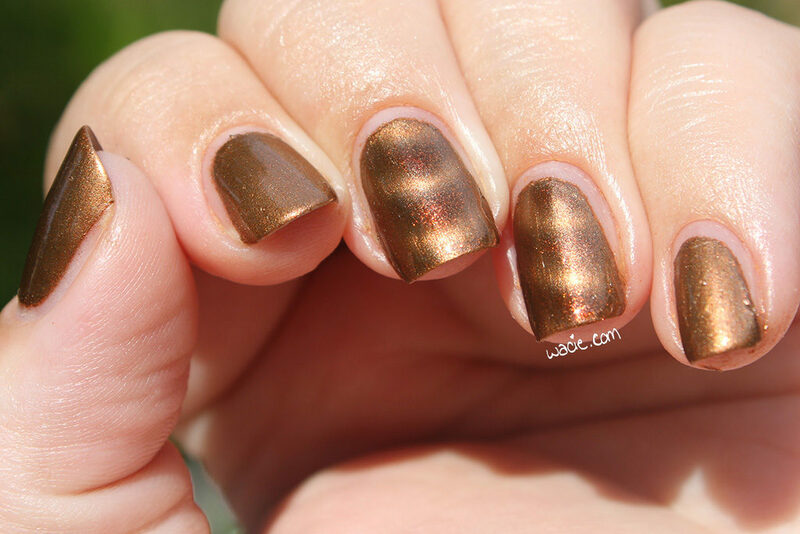 Of course, that can work to its advantage, too; if you love those basic early holos but they’ve all been discontinued or reworked, these are certainly for you. I think I actually bought this one on accident. I actually wanted Kismet, that dreamy silver holo from the same collection, and I goofed and got Beyond instead. Not that I’m complaining. 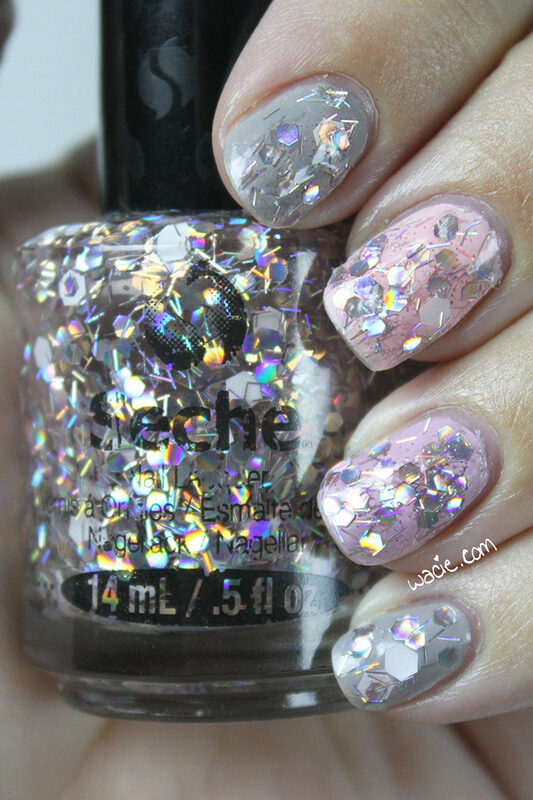 I love wearing this, and I don’t feel so guilty about using it so much as I do with the indie holos. I know I’d have a much easier time replacing this one than, say, a sought-after Enchanted. I’m still so sad about that smudge. It looks worse in real life than it does in photos; I ended up bumping it again on the way in and I’m probably going to redo it anyway just because it bugs me. I feel like a bad blogger for posting these — especially the macro — but as I write this, another bout of storminess is rolling through, and I know I did the right thing. 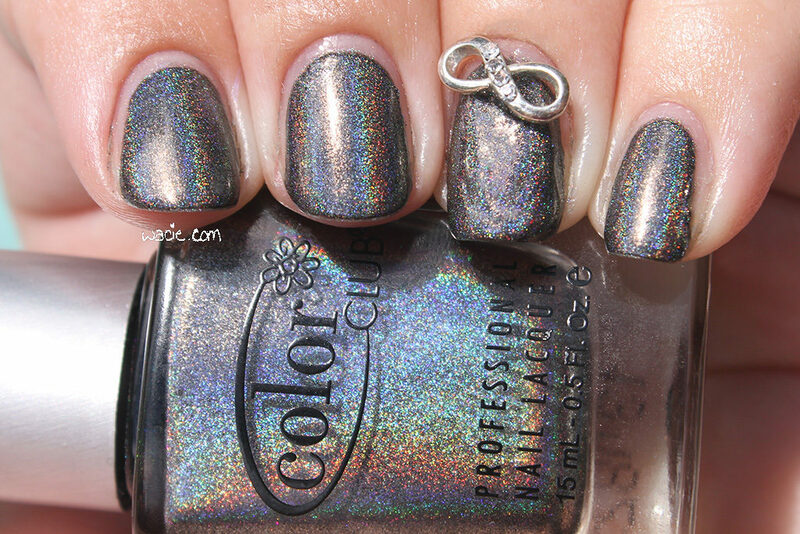 Beyond, Halo Hues, and other Color Club shades and products are available on ColorClub.com. The infinity loop bow is from Daily Charme. It’s Swatch Sunday again! 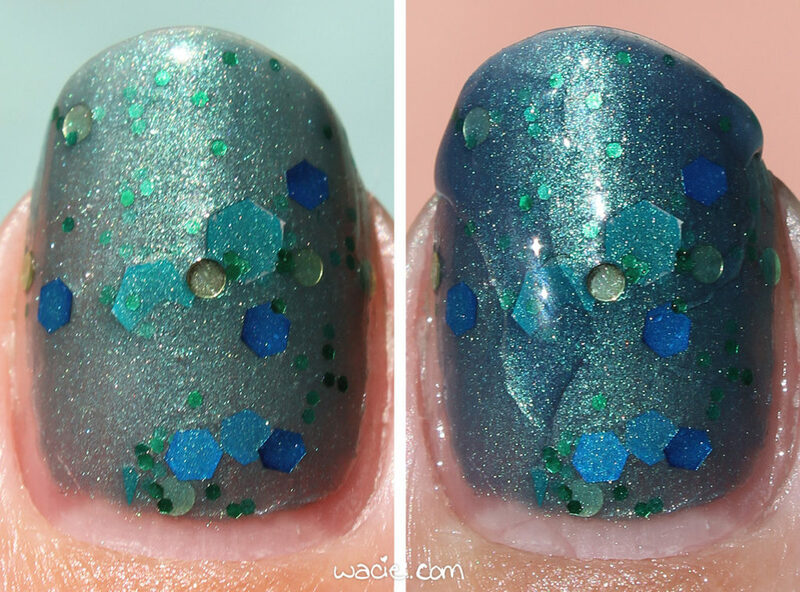 Today’s swatch is Seche’s Collage Overlay! 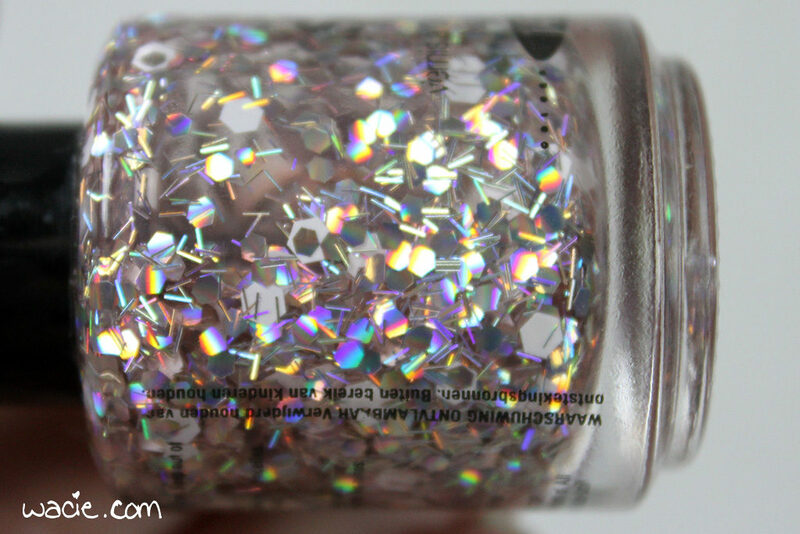 This is a serious glitter topper. I’m wearing one brushed coat over China Glaze’s Pelican Gray, Essie’s Fiji, and Ciaté’s Sugar Plum, as well as one coat of Seche Vite top coat. 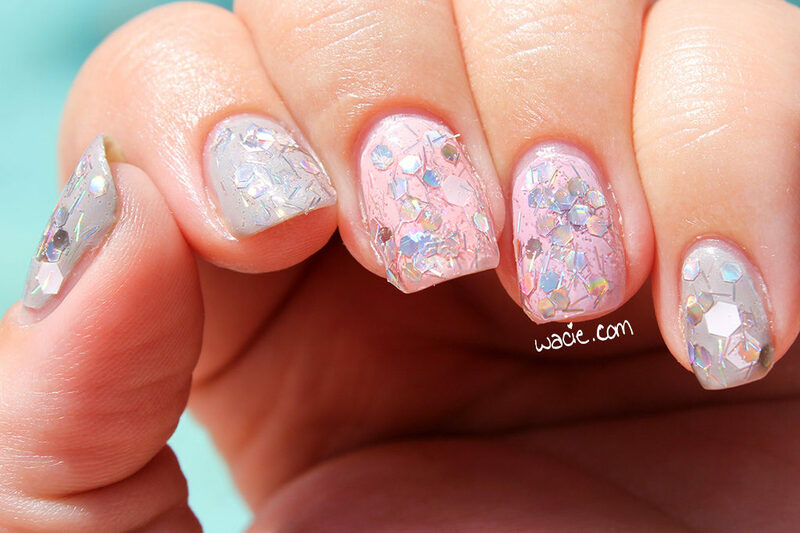 Collage Overlay is a clear-based glitter topper with holographic pink bar and hex glitters in various sizes, as well as large white hexes. 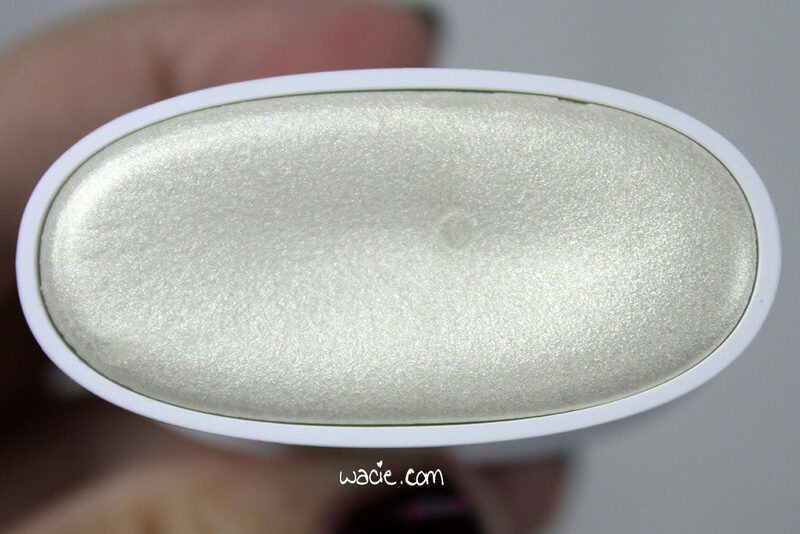 Application was tricky with this; there’s so much glitter and it tends to clump together, making it a challenge to get even coverage. 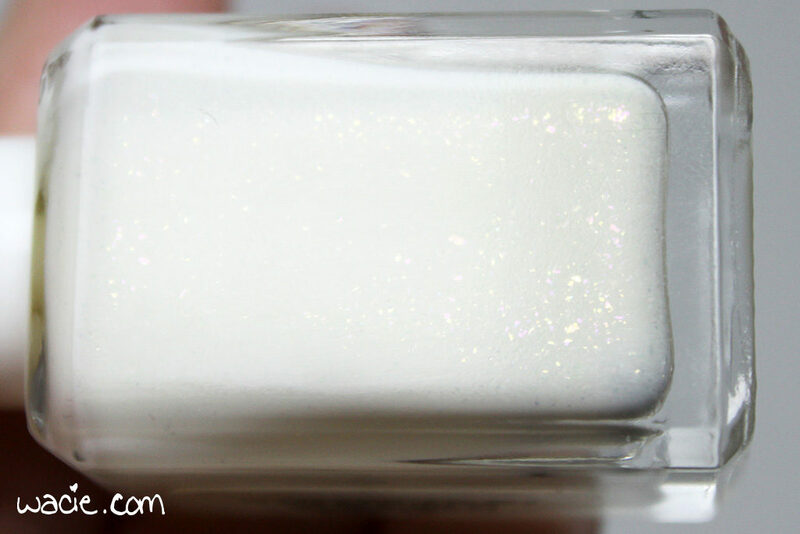 The bar glitters are pretty long in this polish and can be difficult to work with as well. 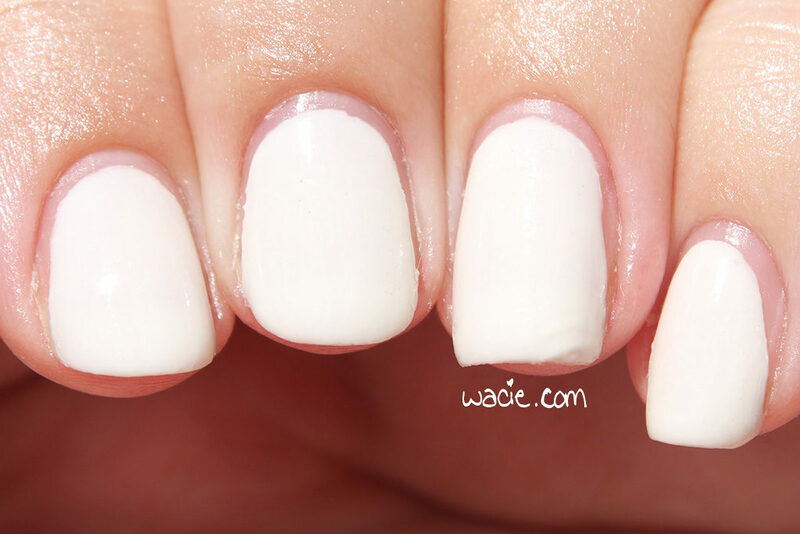 You can see them sticking off the edges of the nail and into the cuticle. On the plus side, it does dry quickly with some chunky glitter texture. I used top coat for shine and smoothness. So I really wanted to love this look. I really loved it the first time I used it; I paired it with a hot pink jelly for a sandwich, and it made a really great look. 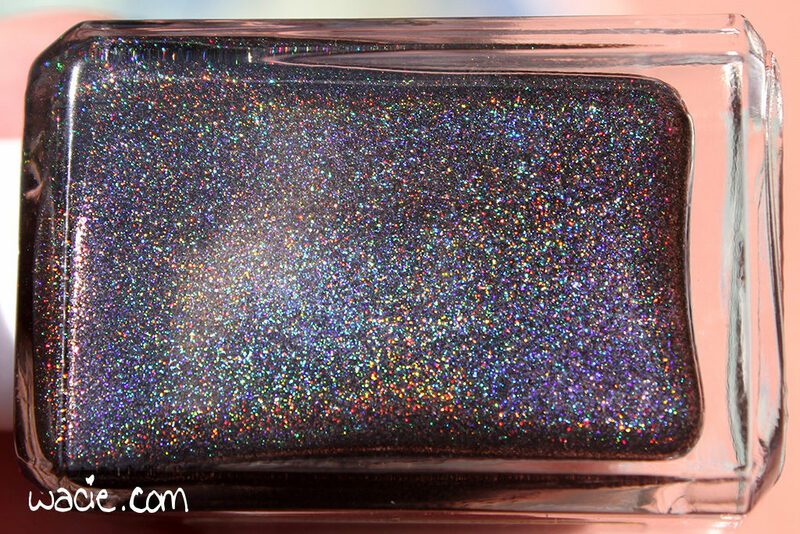 I love the glitters in this mix; I love how it’s holo glitter, but it’s not much like any holo glitter I’ve ever seen. The color is unique. I love the white hexes as a monotony breaker. I just wished it brushed on a bit better. It’s a mess. I took some photos outside, and let me tell you, this is blinding in direct sunlight. Look how washed out these sunlight photos are. 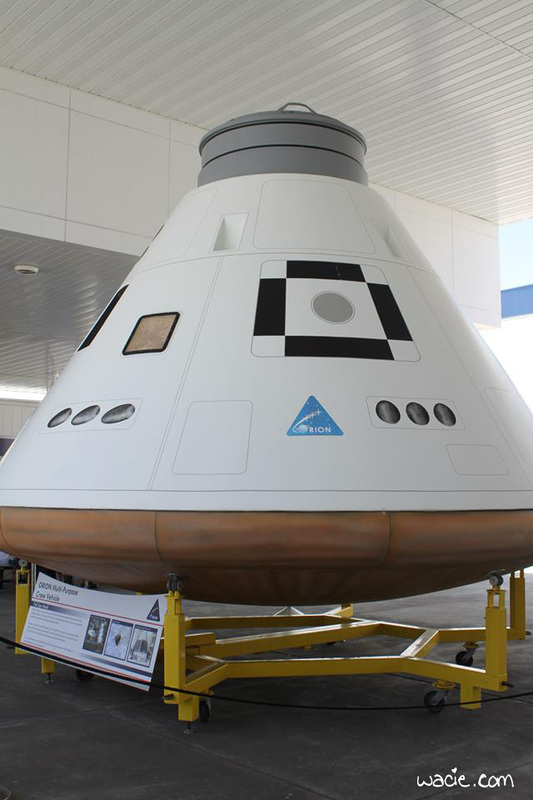 This will give you some indication of how shiny it is. It was kind of painful to look at. Collage Overlay might have been discontinued by Seche. 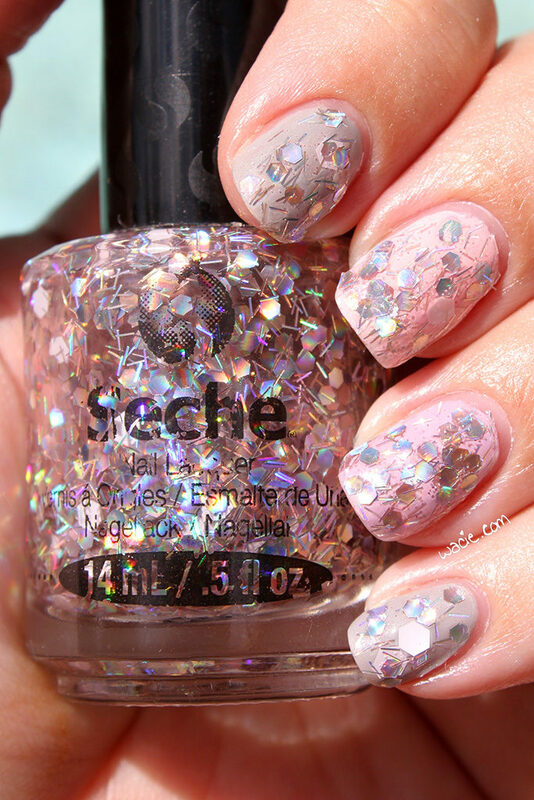 Other Seche products are available in stores nationwide; I got mine from Sally Beauty Supply. Happy Saturday, reader! 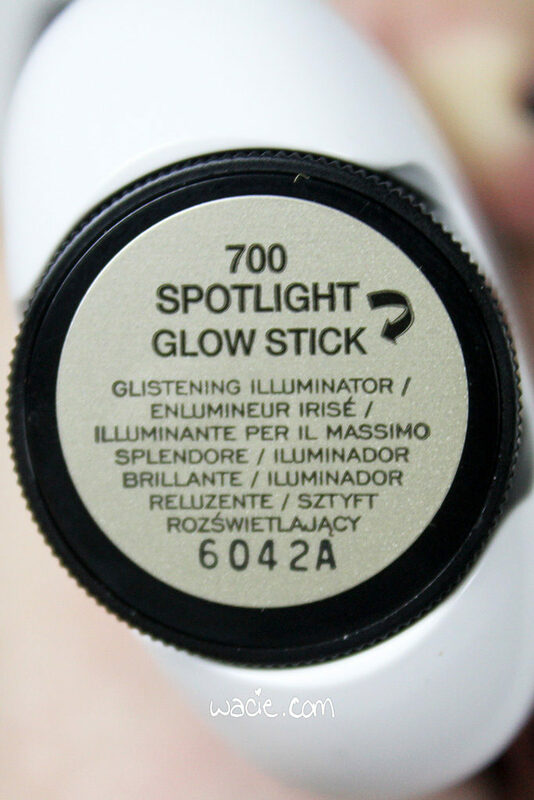 Today’s swatch is a gorgeous one! 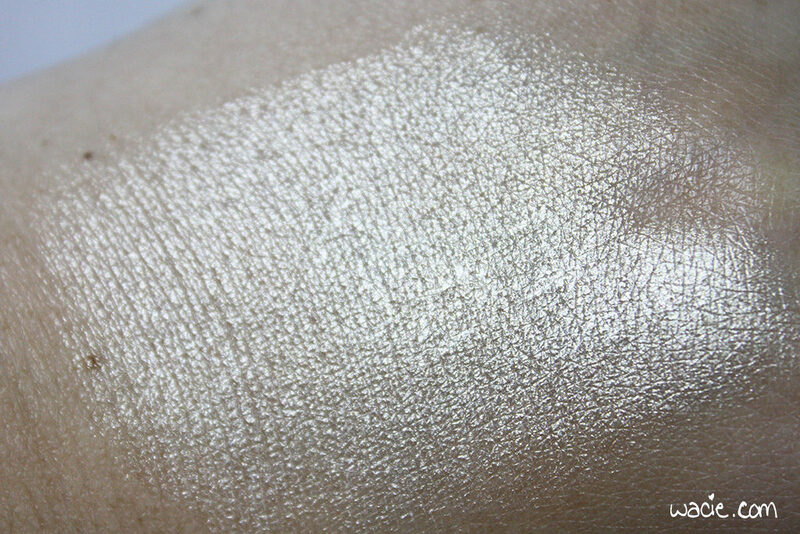 I know I said last week’s BEGL swatch was the best BEGL holo to date, but this one is in a close second for sure! 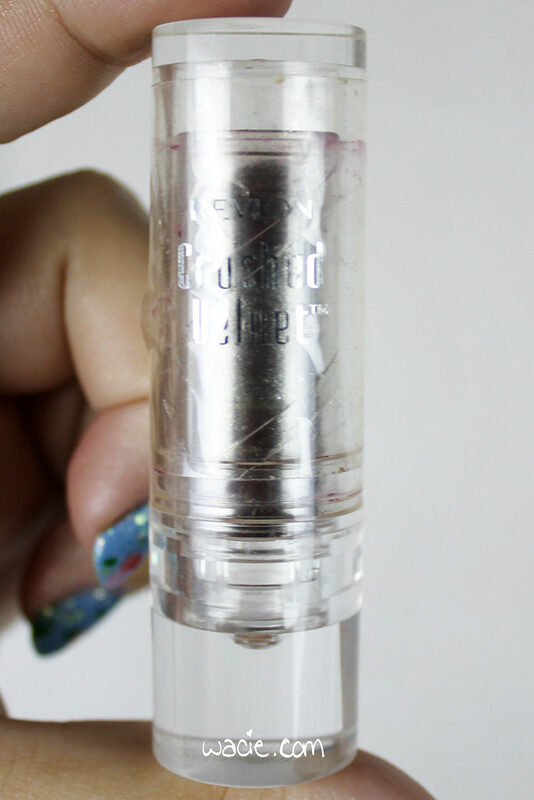 This week we’re talking about Blue-Eyed Girl Lacquer‘s Zero Balance Dwarf Star Alloy; I’m wearing it at three coats with one coat of Seche Vite top coat. The following photos were taken in direct sunlight. 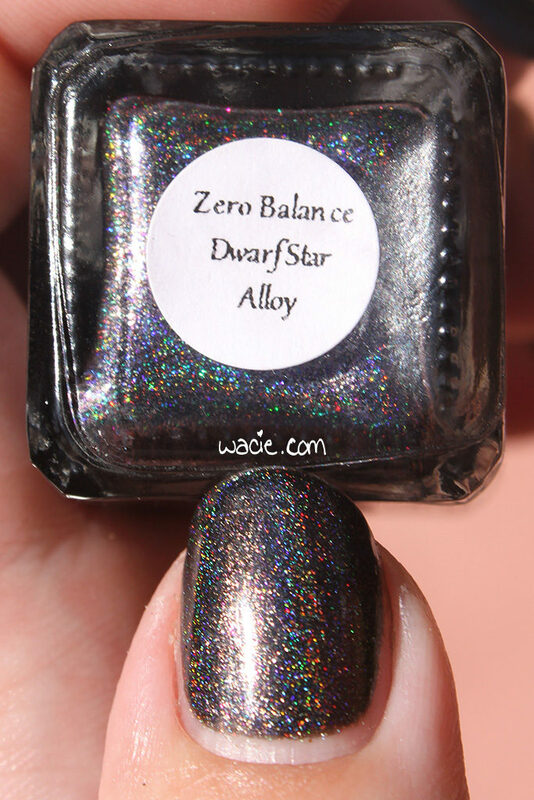 Zero Balance Dwarf Star Alloy is a black linear holo with shifting shimmers. Application was great; it has the same velvety formula Void Stuff had; one that’s nearly opaque on the first coat, but isn’t thick or hard to control. This was very thin, almost drippy, but not quite, and went on very easily. 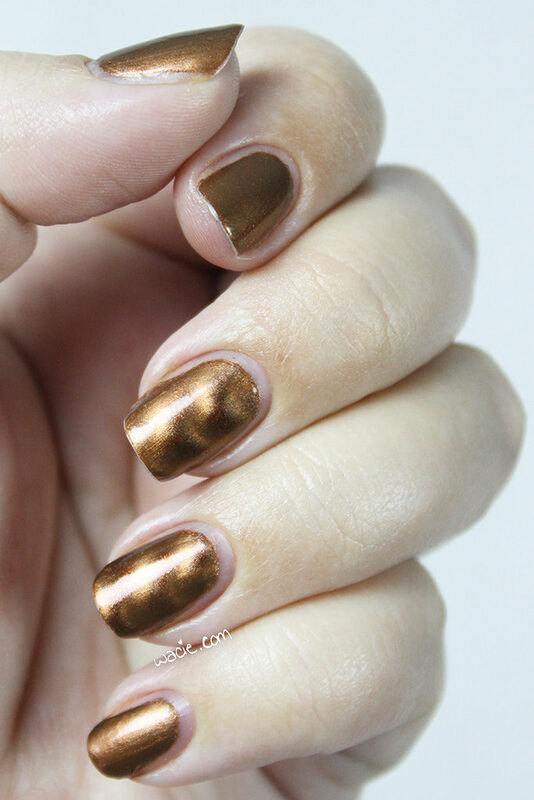 It dried quickly with a satiny finish; I used top coat for shine and protection. 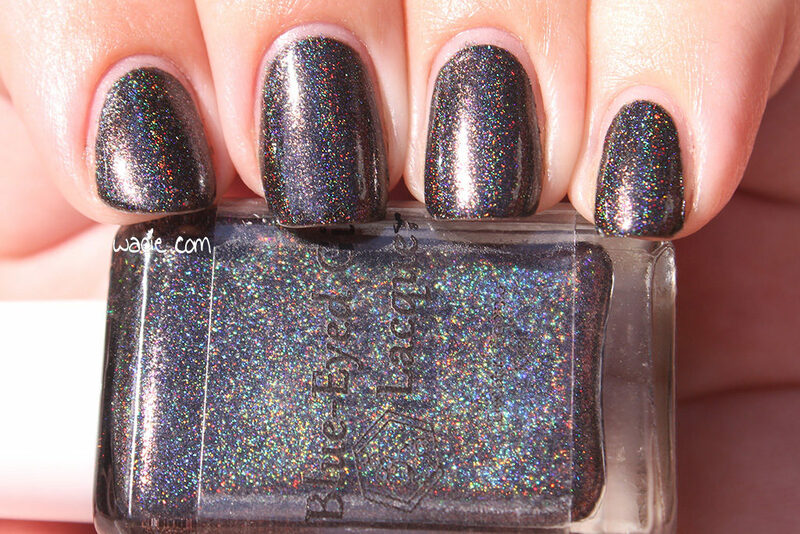 This is the best black holo BEGL has ever made. It’s the blackest of the black; polishes like Don’t Worry, I Don’t Bite and Discontinued Limited Edition aimed for black, but were still a pretty silvery gray at the end result. 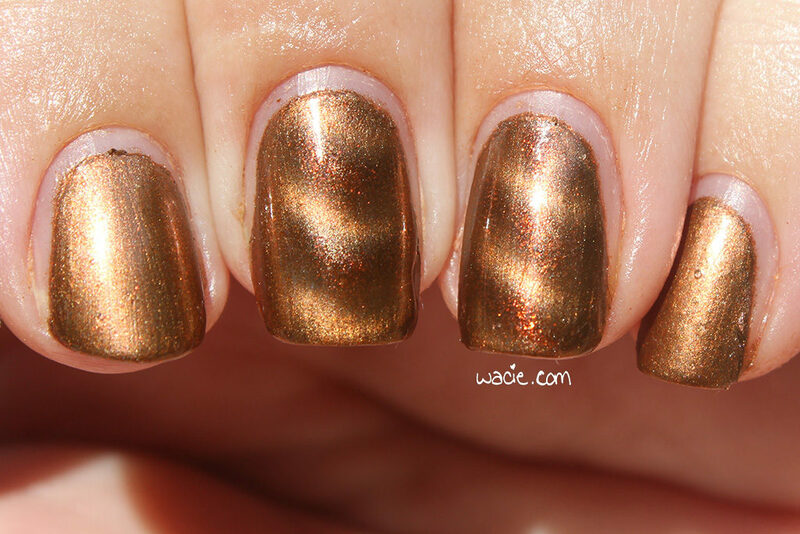 This one has a great linear holo effect, but also manages to stay a rich, deep black. It’s the best black holo I’ve used so far. The shimmers get lost a bit in the holo, but it’s fine. Being one of the darkest black holos ever, I can forgive it. 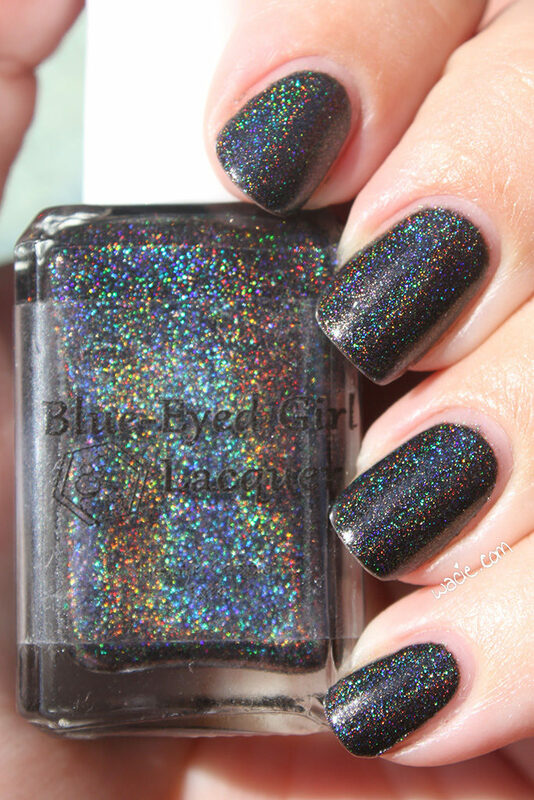 Zero Balance Dwarf Star Alloy has been discotninued by Blue-Eyed Girl Lacquer; other BEGL polishes are available from their online shop.